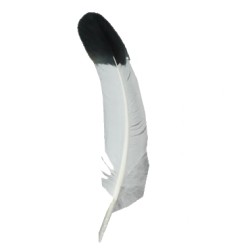 Authentic looking eagle quills made of turkey feathers. Natural color with black tip. Great for any Native American costume. 2 in a pack.